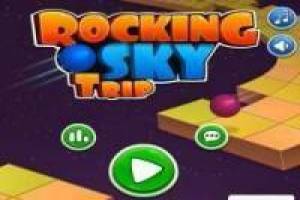 Rocking Sky is an online version of the successful mobile game Rolling Sky. 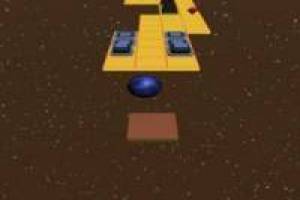 You have to control the ball by the different levels avoiding the obstacles and reaching the end. It seems easy so told but when you start to play your opinion will change. It is an addictive game, but at the same time very difficult since the levels are eternal and when you think you will reach the end it will not be like that. You have to give all of you and demonstrate great ability to finish these frantic levels of the game. You only have to use the arrows of the direction cursor to move from left to right, the jumps will do them automatically when you get to the red squares. Get ready for this great adventure with Rocking Sky. 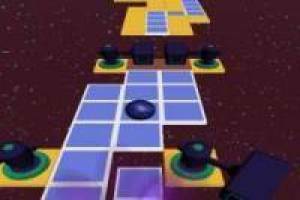 Enjoy the game Rocking Sky, it's free, it's one of our Y8 games we've selected.